Good health is for the few who choose, not the chosen few. You’ll find that quote on, Paleo Weight Loss Coach, a website operated by Jedha. Jedha is interested in helping you be the best you, you can be. Today she is guest posting for me. Thank you Jedha for the wonderful recipe and don’t forget to check out her site Paleo Weight Loss Coach. 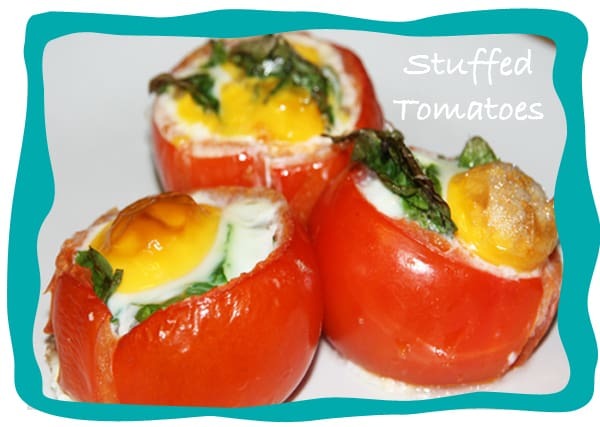 I simply love these stuffed tomatoes and frequently eat them for my paleo breakfast. They are simple to make and delicious too! The recipe below makes the tomatoes stuffed with spinach, but you can also use loads of other things as well. Try stuffing them with a mixture of bacon and spinach. Or try some mushrooms instead of spinach, or a combo of bacon, mushroom, and onion…YUM! Don’t be scared off that it looks like they take a while to cook in the oven because you can actually prepare them very quickly. What I usually do is prepare them quickly, put them in the oven, then finish doing all my morning things. When they are ready, I’m ready and can eat before I walk out the door. Cut the tops off the tomatoes and using a spoon scoop out the insides of the tomatoes into a bowl. Don’t throw this away but use it in another recipe, soup or stir-fry. Place the tomatoes in a greased ceramic baking dish. Fill the tomatoes about ¾ full of baby spinach. Don’t pack it down too much or the egg will spill over the edges. Instead you want it to seep in and through. Sprinkle some sea salt over the spinach. Crack one egg into each tomato. Bake for 20-30 minutes or until eggs are set. Serve, sprinkle with a little pepper if you like and enjoy them as they are, they really are delicious! 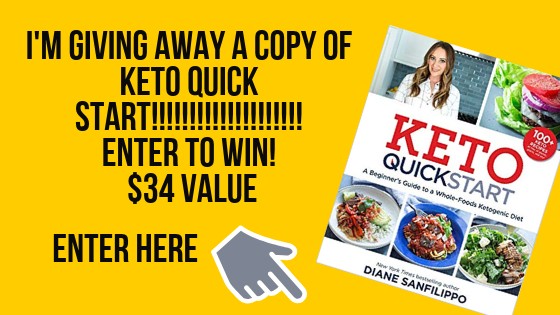 This recipe is written by Jedha D. Jedha is a weight loss and wellness coach who is passionate about helping people get off the merry go round and change their life from the inside out. If you need help with achieving better weight loss results and a lifestyle you love, please visit her website.